Matt Bresciani's Blog: Is Curving Marks Fair? Just a heads up, this is more of a rant and less of an insightful blog post! Today I received an email from one of my professors with some last minute stuff about our Final. In the email the professor highlighted the some basic stuff about the final but ended it by letting us know what the class average and what the highest and lowest marks were in the class. 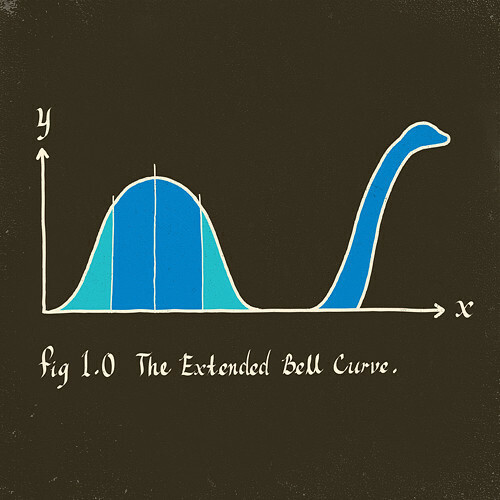 We were also informed that the class was marked on a bell curve. Well when I saw the class average was in the low 60's and the highest mark in the class was an 80% I knew I was in some trouble. This semester I legitimately tried the hardest I've ever tried in any semester of University because I wanted to end my university career with a bang (up to this point I figured I had). The average in the class was based on the 3 midterms we've had this semester each of which was worth 20%. I worked extremely hard for each midterm and received a 88%, 80% and 96% on each of the midterms respectively. This works out to an 88% average overall in the class. If my average based on each midterm is 88% how is possible that the highest mark is an 80%. From this I get my major question: How is this fair to students who have worked hard to get a mark only to have the university curve the marks down. I've heard of some classes having the average curved down because marks were to high (which is still ridiculous) but if the average is already in the 60's why would you want to curve marks down any lower? Has the class average already been set before the class begins, with the professor adjusting to marks after to reach this average? Who gets to decide what marks are too high or low for a class? Is there a specific chart that outlines what the average should be in different classes based on the Faculty? Why should it matter how high or low the class average is? Shouldn't students be entitled to receive the marks that they have legitimately earned and not one the university thinks suits the class? Students should get the marks the are entitled to without any meddling from the university! What do you think, do you agree with curving marks?